The North Wilkesboro, NC area has had 5 reports of on-the-ground hail by trained spotters, and has been under severe weather warnings 29 times during the past 12 months. Doppler radar has detected hail at or near North Wilkesboro, NC on 21 occasions, including 3 occasions during the past year. 4/14/2019 11:19 PM EDT At 1119 pm edt, severe thunderstorms were located along a line extending from near alum ridge to near windy gap, moving east at 25 mph (radar indicated). Hazards include 60 mph wind gusts. Expect damage to roofs, siding, and trees. locations impacted include, mount airy, elkin, fairview, flat rock, and yadkinville. A tornado watch remains in effect until 500 am edt for north central and northwestern north carolina, and south central, southwestern and west central virginia. 4/14/2019 10:48 PM EDT At 1047 pm edt, severe thunderstorms were located along a line extending from near allisonia to near moravian falls, moving east at 45 mph (radar indicated). Hazards include 60 mph wind gusts. Expect damage to roofs, siding, and trees. locations impacted include, mount airy, galax, north wilkesboro, elkin, and wilkesboro. A tornado watch remains in effect until 500 am edt for north central and northwestern north carolina, and south central, southwestern and west central virginia. 4/14/2019 4:48 PM EDT At 448 pm edt, a severe thunderstorm capable of producing a tornado was located near roaring river, moving northeast at 55 mph (radar indicated rotation). Hazards include tornado. Flying debris will be dangerous to those caught without shelter. mobile homes will be damaged or destroyed. damage to roofs, windows, and vehicles will occur. tree damage is likely. Locations impacted include, ronda, hays, mulberry, wilkes county airport, and roaring river. 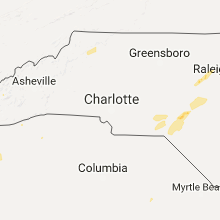 4/14/2019 4:39 PM EDT At 439 pm edt, a severe thunderstorm capable of producing a tornado was located over wilkesboro, moving northeast at 55 mph (radar indicated rotation). Hazards include tornado. Flying debris will be dangerous to those caught without shelter. mobile homes will be damaged or destroyed. damage to roofs, windows, and vehicles will occur. tree damage is likely. Locations impacted include, north wilkesboro, wilkesboro, ronda, mulberry, and buck. 4/14/2019 4:23 PM EDT At 423 pm edt, a severe thunderstorm capable of producing a tornado was located near elkville, moving northeast at 55 mph (radar indicated rotation). Hazards include tornado. Flying debris will be dangerous to those caught without shelter. mobile homes will be damaged or destroyed. damage to roofs, windows, and vehicles will occur. Tree damage is likely. 9/2/2018 3:52 PM EDT The severe thunderstorm warning for southwestern wilkes county will expire at 400 pm edt, the storm which prompted the warning has weakened below severe limits, and no longer poses an immediate threat to life or property. therefore, the warning will be allowed to expire. however gusty winds and heavy rain are still possible with this thunderstorm. when it is safe to do so, please send your reports of hail of any size, as well as reports of any wind damage, including downed trees or large limbs, to the national weather service by calling toll free at 1, 8 6 6, 2 1 5, 4 3 2 4. reports and pictures can also be shared on the national weather service blacksburg facebook page and on twitter. 9/2/2018 3:34 PM EDT At 320 pm edt, a severe thunderstorm was located over cricket, moving southwest at 10 mph (radar indicated). Hazards include 60 mph wind gusts and quarter size hail. Hail damage to vehicles is expected. Expect wind damage to roofs, siding, and trees. 9/2/2018 3:26 PM EDT Half Dollar sized hail reported 4.5 miles E of North Wilkesboro, NC, time estimated based on radar. 9/2/2018 3:20 PM EDT The national weather service in blacksburg has issued a * severe thunderstorm warning for. 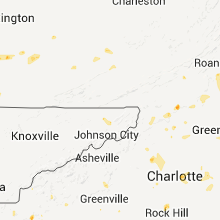 southwestern wilkes county in northwestern north carolina. Until 400 pm edt * at 320 pm edt, a severe thunderstorm was located over cricket, moving southwest at 10 mph. 8/17/2018 6:09 PM EDT At 552 pm edt, a severe thunderstorm was located near windy gap, moving east at 15 mph (radar indicated). Hazards include 60 mph wind gusts and quarter size hail. Hail damage to vehicles is expected. expect wind damage to roofs, siding, and trees. Locations impacted include, north wilkesboro, wilkesboro, jonesville, ronda, and windy gap. 8/17/2018 5:52 PM EDT At 552 pm edt, a severe thunderstorm was located near windy gap, moving east at 15 mph (radar indicated). Hazards include 60 mph wind gusts and quarter size hail. Hail damage to vehicles is expected. expect wind damage to roofs, siding, and trees. Locations impacted include, north wilkesboro, wilkesboro, jonesville, ronda, and windy gap. 8/17/2018 5:29 PM EDT At 529 pm edt, a severe thunderstorm was located over wilkesboro, moving east at 15 mph (radar indicated). Hazards include 60 mph wind gusts and quarter size hail. Hail damage to vehicles is expected. expect wind damage to roofs, siding, and trees. Locations impacted include, north wilkesboro, wilkesboro, jonesville, ronda, and boomer. 8/17/2018 5:16 PM EDT At 516 pm edt, a severe thunderstorm was located over buck, moving east at 15 mph (radar indicated). Hazards include 60 mph wind gusts and quarter size hail. Hail damage to vehicles is expected. Expect wind damage to roofs, siding, and trees. 8/12/2018 2:10 PM EDT At 210 pm edt, a severe thunderstorm was located over moravian falls, moving east at 15 mph (radar indicated). Hazards include 60 mph wind gusts and quarter size hail. Hail damage to vehicles is expected. expect wind damage to roofs, siding, and trees. Locations impacted include, north wilkesboro, wilkesboro, windy gap, cricket, and clingman. 8/12/2018 1:51 PM EDT At 151 pm edt, a severe thunderstorm was located over moravian falls, moving east at 20 mph (radar indicated). Hazards include 60 mph wind gusts and quarter size hail. Hail damage to vehicles is expected. Expect wind damage to roofs, siding, and trees. 7/21/2018 7:11 PM EDT At 711 pm edt, a severe thunderstorm was located near boomer, moving east at 15 mph (radar indicated). Hazards include 60 mph wind gusts and quarter size hail. Hail damage to vehicles is expected. Expect wind damage to roofs, siding, and trees. 6/25/2018 5:58 PM EDT At 558 pm edt, severe thunderstorms were located along a line extending from near dockery to north wilkesboro, moving east at 20 mph (radar indicated). Hazards include 60 mph wind gusts and quarter size hail. Hail damage to vehicles is expected. Expect wind damage to roofs, siding, and trees. 6/25/2018 5:28 PM EDT At 528 pm edt, severe thunderstorms were located along a line extending from fairplains to boomer, moving east at 20 mph (radar indicated). Hazards include 60 mph wind gusts and quarter size hail. Hail damage to vehicles is expected. expect wind damage to roofs, siding, and trees. Locations impacted include, north wilkesboro, wilkesboro, ronda, boomer, and wilbar. 6/25/2018 4:59 PM EDT At 459 pm edt, severe thunderstorms were located along a line extending from summit to elkville, moving east at 25 mph (radar indicated). Hazards include 60 mph wind gusts and quarter size hail. Hail damage to vehicles is expected. Expect wind damage to roofs, siding, and trees. 5/20/2018 5:11 PM EDT The severe thunderstorm warning for southeastern wilkes and yadkin counties will expire at 515 pm edt, the storms which prompted the warning have moved out of the area. therefore, the warning will be allowed to expire. however, there some lingering flooding can be expected though early this evening. when it is safe to do so, please send your reports of hail of any size, as well as reports of any wind damage, including downed trees or large limbs, to the national weather service by calling toll free at 1, 8 6 6, 2 1 5, 4 3 2 4. reports and pictures can also be shared on the national weather service blacksburg facebook page and on twitter. 5/20/2018 4:53 PM EDT At 453 pm edt, severe thunderstorms were located along a line extending from near boonville to near taylorsville, moving southeast at 20 mph (radar indicated). Hazards include 60 mph wind gusts and quarter size hail. Hail damage to vehicles is expected. expect wind damage to roofs, siding, and trees. Locations impacted include, yadkinville, boonville, windy gap, nebo, and buck shoals. 5/20/2018 4:22 PM EDT The national weather service in blacksburg has issued a * severe thunderstorm warning for. southwestern surry county in northwestern north carolina. southeastern wilkes county in northwestern north carolina. yadkin county in northwestern north carolina. Until 515 pm edt. 5/10/2018 3:33 PM EDT At 332 pm edt, a severe thunderstorm was located over swancreek, moving east at 45 mph (radar indicated). Hazards include 60 mph wind gusts and quarter size hail. Hail damage to vehicles is expected. expect wind damage to roofs, siding, and trees. Locations impacted include, north wilkesboro, elkin, wilkesboro, yadkinville, and jonesville. 5/10/2018 2:58 PM EDT The national weather service in blacksburg has issued a * severe thunderstorm warning for. southeastern surry county in northwestern north carolina. 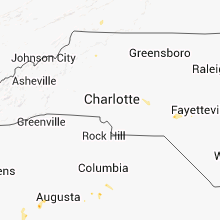 wilkes county in northwestern north carolina. yadkin county in northwestern north carolina. Until 400 pm edt. 4/15/2018 2:30 PM EDT At 229 pm edt, a severe thunderstorm was located over glade valley, moving north at 50 mph (radar indicated. wilkes county officials reported downed trees from this storm). Hazards include 60 mph wind gusts. Expect damage to roofs, siding, and trees. locations impacted include, galax, north wilkesboro, wilkesboro, sparta, and independence. A tornado watch remains in effect until 700 pm edt for northwestern north carolina, and southwestern virginia. 4/15/2018 2:02 PM EDT At 202 pm edt, a severe thunderstorm was located near millers creek, moving northeast at 45 mph (radar indicated). Hazards include 60 mph wind gusts. Expect damage to roofs, siding, and trees. locations impacted include, galax, north wilkesboro, wilkesboro, sparta, and independence. 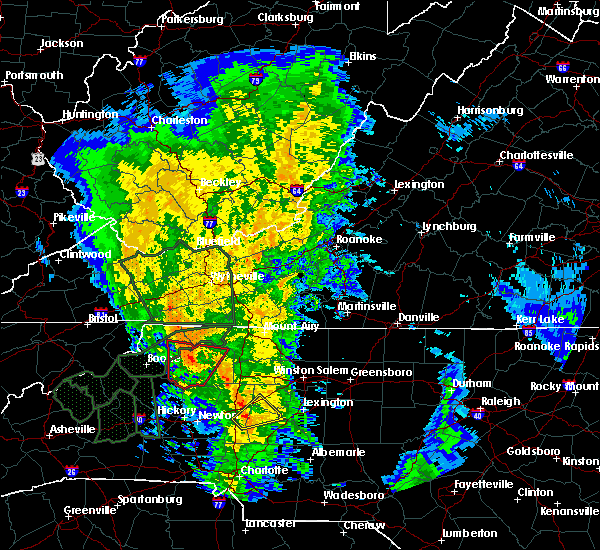 A tornado watch remains in effect until 700 pm edt for northwestern north carolina, and southwestern virginia. 10/23/2017 5:26 PM EDT At 526 pm edt, a severe thunderstorm capable of producing a tornado was located over dockery, moving north at 30 mph (radar indicated rotation). Hazards include tornado. Flying debris will be dangerous to those caught without shelter. mobile homes will be damaged or destroyed. damage to roofs, windows, and vehicles will occur. Tree damage is likely. 10/23/2017 5:19 PM EDT At 519 pm edt, a severe thunderstorm capable of producing a tornado was located over buck, moving northeast at 40 mph (radar indicated rotation). Hazards include tornado and quarter size hail. Flying debris will be dangerous to those caught without shelter. mobile homes will be damaged or destroyed. damage to roofs, windows, and vehicles will occur. tree damage is likely. Locations impacted include, north wilkesboro, wilkesboro, jefferson, traphill, and boomer. 10/23/2017 5:00 PM EDT At 500 pm edt, a severe thunderstorm capable of producing a tornado was located near elkville, moving north at 35 mph (radar indicated rotation). Hazards include tornado and quarter size hail. Flying debris will be dangerous to those caught without shelter. mobile homes will be damaged or destroyed. damage to roofs, windows, and vehicles will occur. Tree damage is likely. 9/5/2017 4:51 PM EDT The severe thunderstorm warning for southwestern surry, northeastern wilkes and western yadkin counties will expire at 500 pm edt, the storm which prompted the warning has weakened below severe limits, and no longer poses an immediate threat to life or property. therefore the warning will be allowed to expire. when it is safe to do so, please send your reports of hail of any size, as well as reports of any wind damage, including downed trees or large limbs, to the national weather service by calling toll free at 1, 8 6 6, 2 1 5, 4 3 2 4. reports and pictures can also be shared on the national weather service blacksburg facebook page and on twitter. 9/5/2017 4:18 PM EDT At 418 pm edt, a severe thunderstorm was located over ronda, moving east at 25 mph (radar indicated). Hazards include 60 mph wind gusts and quarter size hail. Hail damage to vehicles is expected. expect wind damage to roofs, siding, and trees. Locations impacted include, north wilkesboro, elkin, wilkesboro, fairview, and jonesville. 9/5/2017 3:55 PM EDT At 354 pm edt, a severe thunderstorm was located over hays, moving east at 25 mph (radar indicated). Hazards include 60 mph wind gusts and quarter size hail. Hail damage to vehicles is expected. Expect wind damage to roofs, siding, and trees. 8/17/2017 8:24 PM EDT The severe thunderstorm warning for southeastern wilkes county will expire at 830 pm edt, the storm which prompted the warning has weakened below severe limits, and no longer poses an immediate threat to life or property. therefore the warning will be allowed to expire. very heavy rainfall and occasional cloud-to-ground lightning can still be expected with this thunderstorm. when it is safe to do so, please send your reports of hail of any size, as well as reports of any wind damage, including downed trees or large limbs, to the national weather service by calling toll free at 1, 8 6 6, 2 1 5, 4 3 2 4. reports and pictures can also be shared on the national weather service blacksburg facebook page and on twitter. 8/17/2017 7:53 PM EDT At 752 pm edt, a severe thunderstorm was located over wilkesboro, moving east at 20 mph (radar indicated). Hazards include 60 mph wind gusts and quarter size hail. Hail damage to vehicles is expected. Expect wind damage to roofs, siding, and trees. 5/19/2017 3:25 PM EDT At 324 pm edt, severe thunderstorms were located along a line extending from pinnacle to near yadkinville to buck shoals, moving east at 30 mph (radar indicated). Hazards include 60 mph wind gusts and quarter size hail. Minor damage to vehicles is possible. expect wind damage to trees and power lines. Locations impacted include, yadkinville, jonesville, pilot mountain, boonville, and east bend. 5/19/2017 3:10 PM EDT At 309 pm edt, a severe thunderstorm was located over brooks crossroads, moving east at 15 mph. weak rotation was observed on radar with this storm in southern yadkin county (radar indicated). Hazards include 60 mph wind gusts and half dollar size hail. Minor damage to vehicles is possible. expect wind damage to trees and power lines. Locations impacted include, yadkinville, jonesville, pilot mountain, boonville, and east bend. 5/19/2017 3:00 PM EDT At 300 pm edt, severe thunderstorms were located along a line extending from near siloam to nebo to near brooks crossroads to near windy gap, and are nearly stationary (radar indicated). Hazards include 60 mph wind gusts and quarter size hail. Minor damage to vehicles is possible. Expect wind damage to trees and power lines. 5/9/2017 7:25 PM EDT The severe thunderstorm warning for southeastern alleghany, southwestern surry, northeastern wilkes and yadkin counties in northwestern north carolina will expire at 730 pm edt, the storm which prompted the warning has weakened below severe limits, and no longer poses an immediate threat to life or property. therefore the warning will be allowed to expire. however gusty winds are still possible with this thunderstorm. when it is safe to do so, please send your reports of hail of any size, as well as reports of any wind damage, including downed trees or large limbs, to the national weather service by calling toll free at 1, 8 6 6, 2 1 5, 4 3 2 4. reports and pictures can also be shared on the national weather service blacksburg facebook page and on twitter. 5/9/2017 6:53 PM EDT At 652 pm edt, a severe thunderstorm was located over ronda, moving southeast at 35 mph (radar indicated). Hazards include 60 mph wind gusts and quarter size hail. Minor damage to vehicles is possible. expect wind damage to trees and power lines. Locations impacted include, elkin, yadkinville, jonesville, boonville, and ronda. 5/9/2017 6:36 PM EDT At 635 pm edt, a severe thunderstorm was located over abshers, moving southeast at 35 mph (radar indicated). Hazards include 60 mph wind gusts and quarter size hail. Minor damage to vehicles is possible. Expect wind damage to trees and power lines. 9/28/2016 4:40 PM EDT At 440 pm edt, a severe thunderstorm was located over windy gap, moving east at 25 mph (radar indicated). Hazards include 60 mph wind gusts and half dollar size hail. Hail damage to vehicles is expected. expect wind damage to roofs, siding, and trees. Locations impacted include, north wilkesboro, wilkesboro, ronda, benham, and roaring river. 9/28/2016 3:56 PM EDT At 356 pm edt, a severe thunderstorm was located near elkville, moving east at 20 mph (radar indicated). Hazards include 60 mph wind gusts and half dollar size hail. Hail damage to vehicles is expected. Expect wind damage to roofs, siding, and trees. 9/26/2016 4:03 PM EDT At 425 pm edt, a severe thunderstorm was located over arlington, moving east at 25 mph (radar indicated). Hazards include 60 mph wind gusts. Expect damage to roofs. siding. and trees. Locations impacted include, elkin, fairview, jonesville, boonville, and ronda. 7/27/2016 6:59 PM EDT At 659 pm edt, a severe thunderstorm was located over roaring river, and is nearly stationary (radar indicated). Hazards include 60 mph wind gusts and half dollar size hail. Hail damage to vehicles is expected. expect wind damage to roofs, siding, and trees. Locations impacted include, north wilkesboro, jonesville, boonville, ronda, and roaring river. 7/27/2016 6:31 PM EDT At 631 pm edt, a severe thunderstorm was located over roaring river, and is nearly stationary (radar indicated). Hazards include 60 mph wind gusts and half dollar size hail. Hail damage to vehicles is expected. Expect wind damage to roofs, siding, and trees. 7/8/2016 7:24 PM EDT The severe thunderstorm warning for central wilkes, western alleghany and eastern ashe counties will expire at 730 pm edt, the storms which prompted the warning have moved out of the area. therefore the warning will be allowed to expire. however gusty winds and heavy rain are still possible with these thunderstorms. a severe thunderstorm watch remains in effect until 1000 pm edt for north carolina and virginia. when it is safe to do so, please send your reports of hail of any size, as well as any reports of wind damage, including downed trees or large limbs, to the national weather service by calling toll free at 1, 8 6 6, 2 1 5, 4 3 2 4. reports and pictures can also be shared on the national weather service blacksburg facebook page and on twitter. be advised that, while this warning has ended, a severe thunderstorm warning is in effect for the eastern portions of wilkes and allehany counties. 7/8/2016 7:21 PM EDT At 720 pm edt, severe thunderstorms were located along a line extending from near doughton park to hays to near moravian falls, moving east at 70 mph (trained weather spotters report excessive wind damage from this line of storms). Hazards include 70 mph wind gusts and quarter size hail. Hail damage to vehicles is expected. expect considerable tree damage. wind damage is also likely to mobile homes, roofs, and outbuildings. Locations impacted include, mount airy, north wilkesboro, elkin, wilkesboro, and fairview. 7/8/2016 7:15 PM EDT At 714 pm edt, severe thunderstorms were located along a line extending from baywood to stratford to near wagoner to near wilbar, moving east at 45 mph (trained weather spotters). Hazards include 70 mph wind gusts and quarter size hail. Hail damage to vehicles is expected. expect considerable tree damage. wind damage is also likely to mobile homes, roofs, and outbuildings. Locations impacted include, sparta, laurel springs, wilbar, boomer, and mc grady. 7/8/2016 7:06 PM EDT At 704 pm edt, severe thunderstorms were located along a line extending from near lansing to glendale springs to near maple springs, moving east at 70 mph. additional storms capable of hail are located near windy gap and dobson (radar indicated and trained spotter verified). Hazards include 70 mph wind gusts and half dollar size hail. Hail damage to vehicles is expected. expect considerable tree damage. Wind damage is also likely to mobile homes, roofs, and outbuildings. 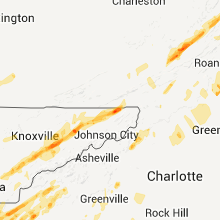 7/8/2016 6:59 PM EDT At 658 pm edt, severe thunderstorms were located along a line extending from near bridle creek to near grassy creek to near west jefferson to deep gap, moving east at 45 mph (trained weather spotters reports extensive tree damage in portions of watauga county). Hazards include 60 mph wind gusts and quarter size hail. Hail damage to vehicles is expected. expect wind damage to roofs, siding, and trees. locations impacted include, boone, sparta, jefferson, west jefferson, and blowing rock. This includes appalachian state university. 7/8/2016 6:45 PM EDT At 645 pm edt, severe thunderstorms were located along a line extending from mouth of wilson to ashland to 7 miles northwest of peoria, moving east at 45 mph (radar indicated). Hazards include 60 mph wind gusts and quarter size hail. Hail damage to vehicles is expected. expect wind damage to roofs, siding, and trees. locations impacted include, boone, sparta, jefferson, west jefferson, and blowing rock. This includes appalachian state university. 7/8/2016 6:24 PM EDT At 624 pm edt, severe thunderstorms were located along a line extending from near whitetop to 7 miles west of mountain city to near elizabethton, moving east at 45 mph (radar indicated). Hazards include 60 mph wind gusts. Expect damage to roofs. siding. And trees. 6/23/2016 10:26 PM EDT The severe thunderstorm warning for yadkin, surry, stokes, wilkes, watauga, alleghany, ashe, southwestern patrick, southeastern grayson and carroll counties and the city of galax will expire at 1030 pm edt, the storms which prompted the warning have weakened below severe limits, and no longer pose an immediate threat to life or property. therefore the warning will be allowed to expire. however gusty winds and heavy rain are still possible with these thunderstorms. a severe thunderstorm watch remains in effect until 1100 pm edt for north carolina and virginia. 6/23/2016 9:50 PM EDT At 949 pm edt, severe thunderstorms were located along a line extending from near dugspur to stone mountain state park to 7 miles west of mountain city, moving southeast at 50 mph (radar indicated). Hazards include 60 mph wind gusts. Expect damage to roofs. siding. and trees. 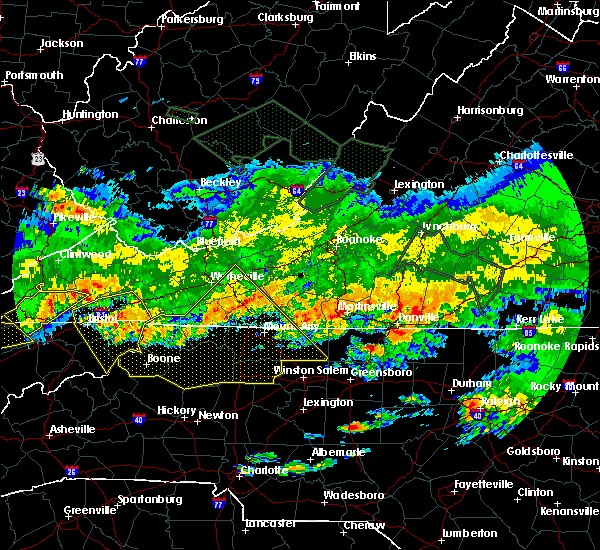 locations impacted include, boone, mount airy, galax, north wilkesboro, and elkin. This includes appalachian state university. 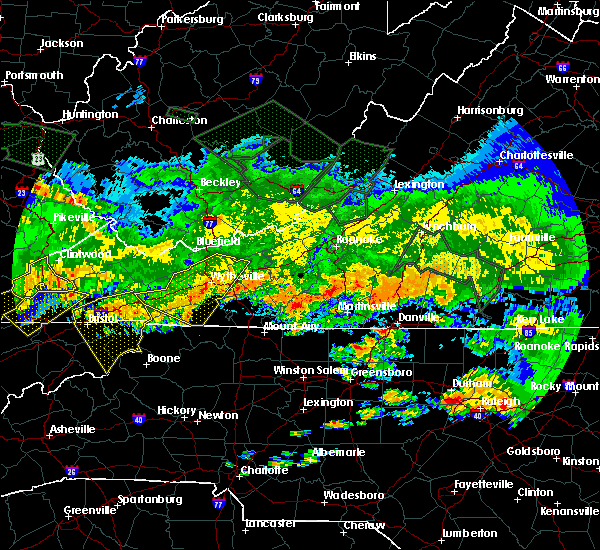 6/23/2016 9:29 PM EDT At 929 pm edt, severe thunderstorms were located along a line extending from gunton park to mouth of wilson to bristol va, moving southeast at 55 mph (radar indicated). Hazards include 60 mph wind gusts. Expect damage to roofs. siding. And trees. 6/16/2016 11:36 PM EDT The severe thunderstorm warning for central yadkin, surry, northeastern wilkes and eastern alleghany counties will expire at 1145 pm edt, the storm which prompted the warning has weakened below severe limits, and no longer poses an immediate threat to life or property. therefore the warning will be allowed to expire. however gusty winds are still possible with this thunderstorm. when it is safe to do so, please send your reports of hail of any size, as well as any reports of wind damage, including downed trees or large limbs, to the national weather service by calling toll free at 1, 8 6 6, 2 1 5, 4 3 2 4. reports and pictures can also be shared on the national weather service blacksburg facebook page and on twitter. 6/16/2016 11:15 PM EDT At 1114 pm edt, a cluster of severe thunderstorm was located near mountain park, moving southeast at 35 mph (radar indicated). Hazards include 60 mph wind gusts. Expect damage to roofs. siding. and trees. Locations impacted include, mount airy, north wilkesboro, elkin, fairview, and yadkinville. 6/16/2016 10:51 PM EDT At 1049 pm edt, a severe thunderstorm was located over glade valley, moving southeast at 45 mph (radar indicated). Hazards include 60 mph wind gusts. Expect damage to roofs. siding. And trees. 5/12/2016 4:39 PM EDT The severe thunderstorm warning for western yadkin, southwestern surry and east central wilkes counties will expire at 445 pm edt, the storm which prompted the warning has weakened below severe limits, and no longer poses an immediate threat to life or property. therefore the warning will be allowed to expire. when it is safe to do so, please send your reports of hail of any size, as well as any reports of wind damage, including downed trees or large limbs, to the national weather service by calling toll free at 1, 8 6 6, 2 1 5, 4 3 2 4. reports and pictures can also be shared on the national weather service blacksburg facebook page and on twitter. 5/12/2016 4:19 PM EDT At 418 pm edt, a severe thunderstorm was located over swancreek, moving east at 15 mph (radar indicated). Hazards include 60 mph wind gusts and quarter size hail. Hail damage to vehicles is expected. expect wind damage to roofs, siding, and trees. Locations impacted include, north wilkesboro, elkin, wilkesboro, fairview, and jonesville. 5/12/2016 3:42 PM EDT At 342 pm edt, a severe thunderstorm was located over roaring river, moving east at 15 mph (radar indicated). Hazards include 60 mph wind gusts and quarter size hail. Hail damage to vehicles is expected. Expect wind damage to roofs, siding, and trees. 2/24/2016 12:02 PM EST At 1159 am est, a severe thunderstorm was located near windy gap, moving northeast at 35 mph (radar indicated). Hazards include 60 mph wind gusts. Expect damage to roofs. siding. And trees. 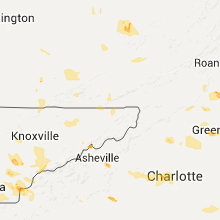 6/17/2014 6:30 PM EDT Quarter sized hail reported 13.7 miles WNW of North Wilkesboro, NC, in addition to the large hail...several large tree branches were blown down on somers road.